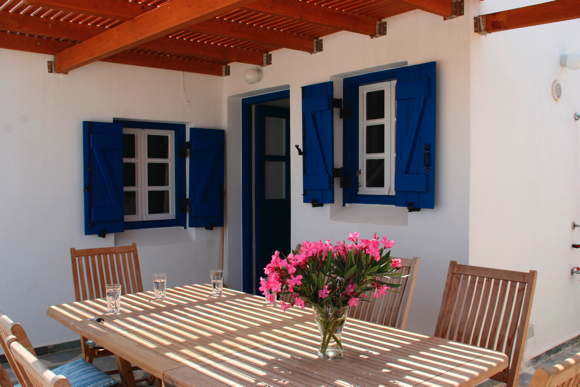 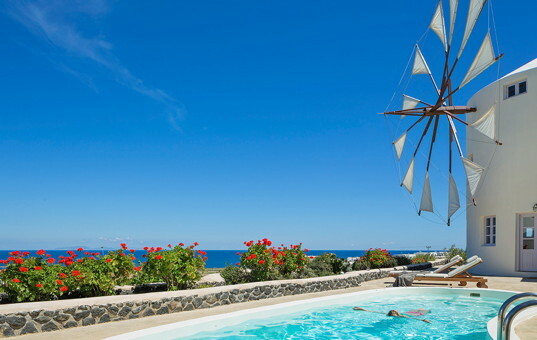 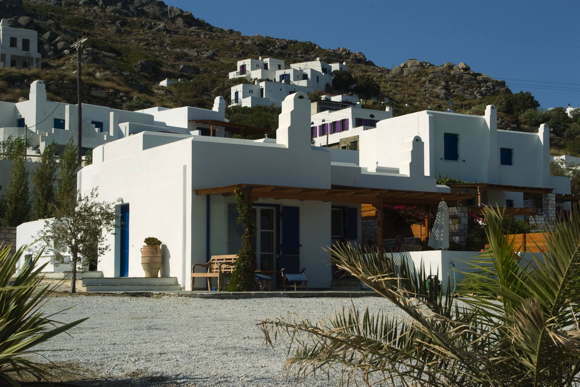 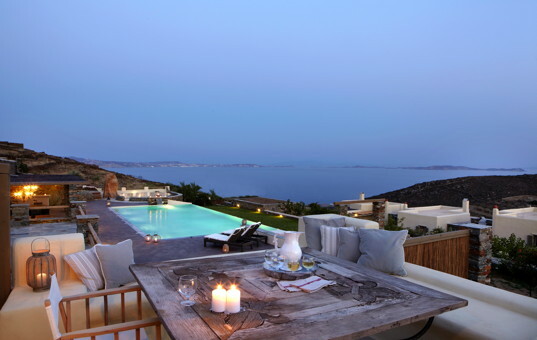 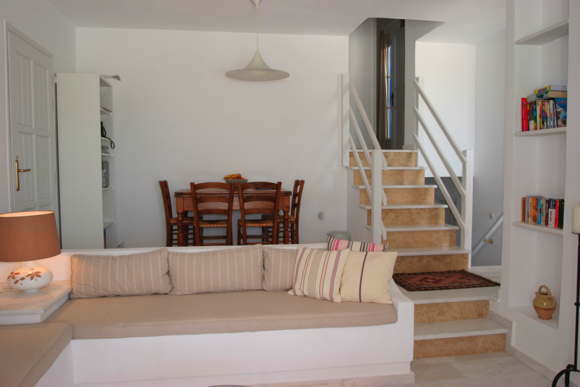 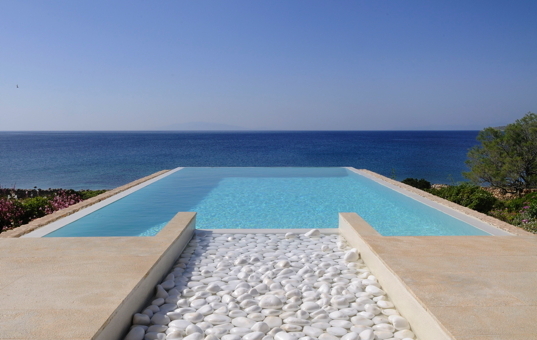 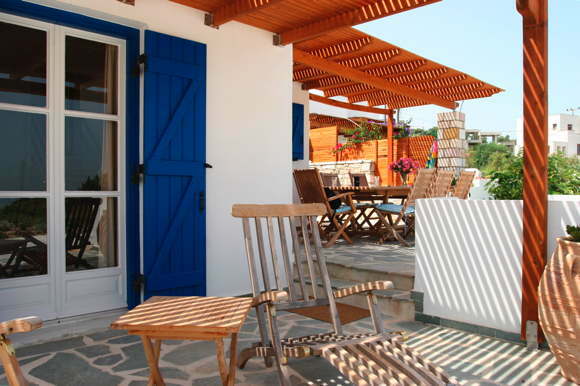 This beautiful holiday villa is built in the typical style of the Cyclades and situated directly at a long sandy beach. 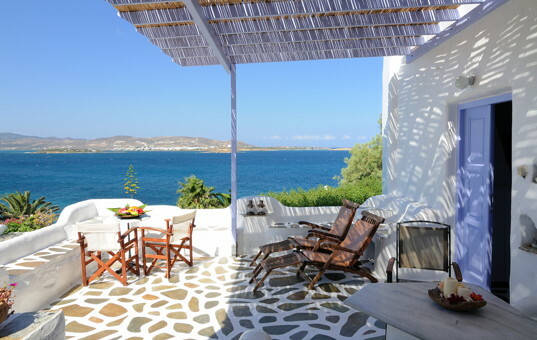 The terrace and the roof terrace are the perfect places for sunbathing and relaxing or enjoying the beautiful sunset over the nearby island of Paros. 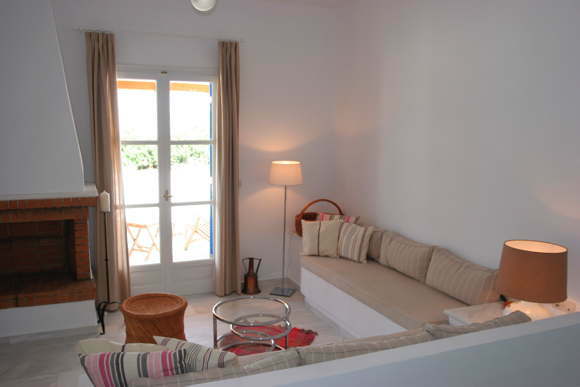 The house disposes of a twin bed room and two double bedrooms, all with aircondition. 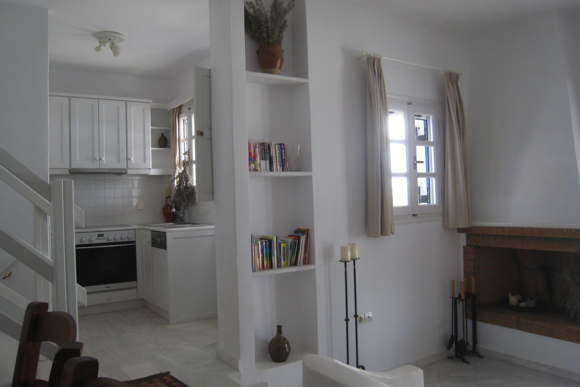 On the ground floor, there are the living room which is furnished very tastefully and the open plan kitchen with dishwasher. 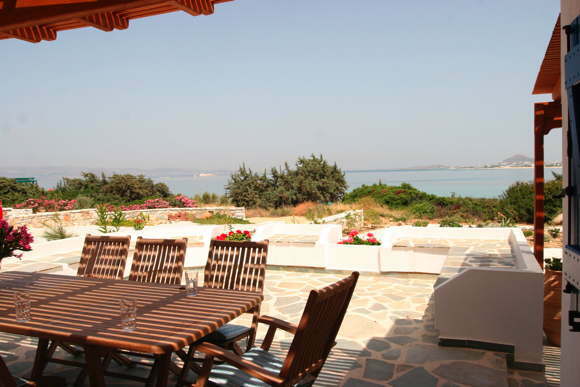 Both rooms offer stunning views over the sea. 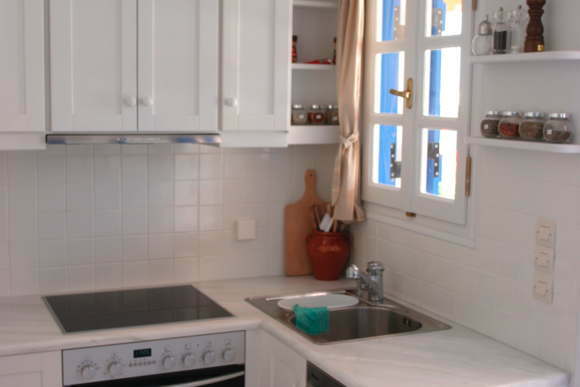 The washing machine is placed in the downstairs bathrooms. 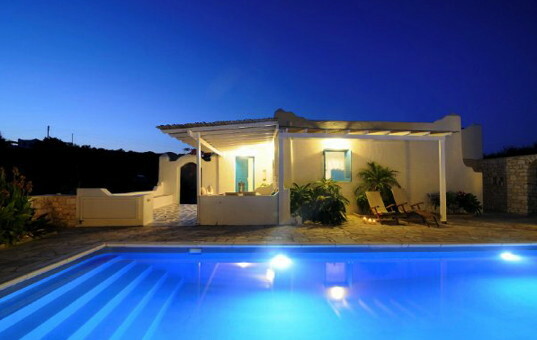 Villa Orkos lies in a region that has not been discovered by mass tourism yet. 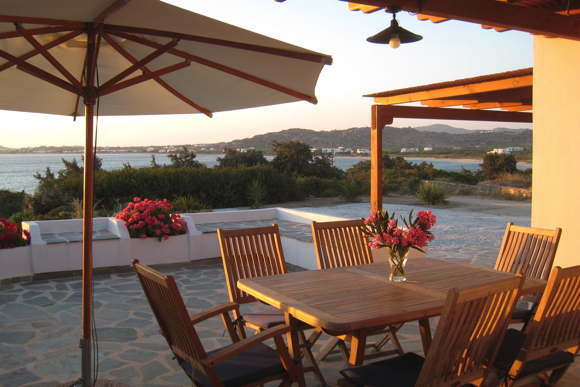 Being situated at an unpaved private road which is, however, accessible by normal car, one can really enjoy tranquility and the vicinity of the sea in this holiday home. 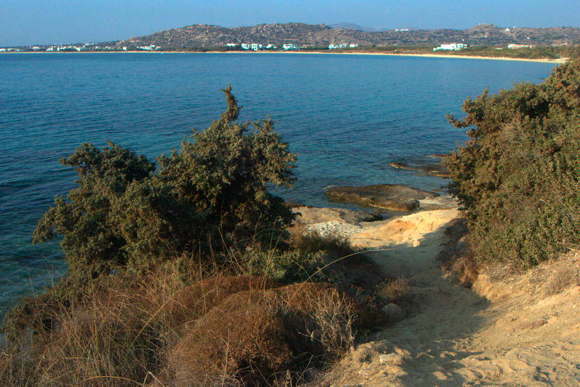 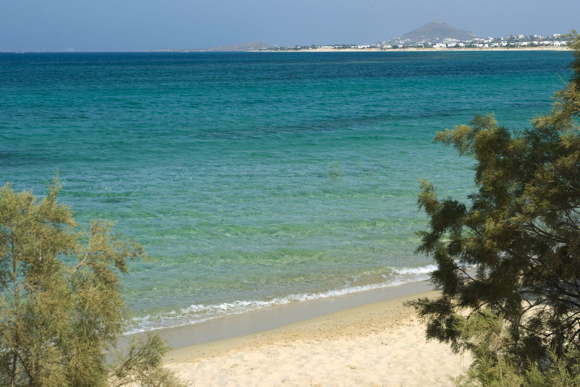 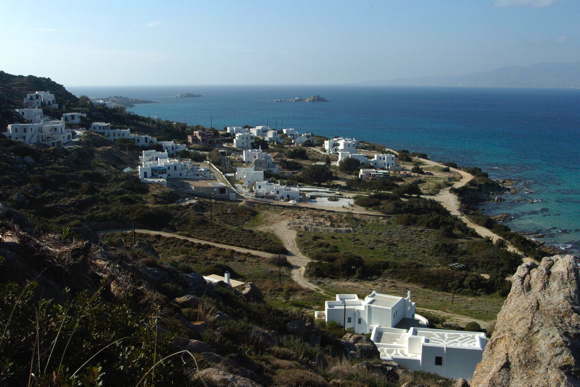 During the season, supermarkets and several traditional taverns can be found in the small village of Makria Vigla, and the main town of the island, Naxos, is a twenty minutes` drive away. 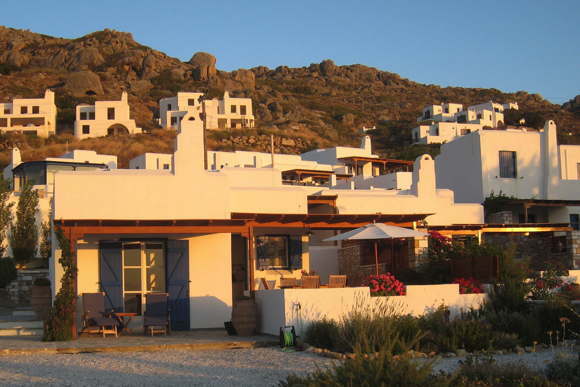 We recommend car rental.